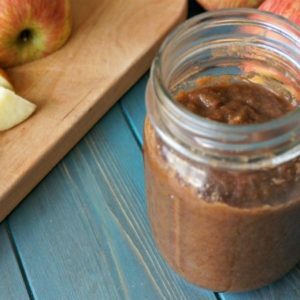 Salted Caramel Apple Butter: Thick and rich apple butter has been taken up a notch with the addition of salted caramel to the mix–you won’t believe how easy this recipe is! Recipe for both the slow-cooker and stove-top apple butter. There is something to be said about the fall. Apple orchards, bonfires, the beautiful changes in the color of leaves, hot cider, pumpkins, football…..and the list goes on and on. For me, I get most excited about apples. I eat apples all year-long, but when I have the opportunity to eat a fresh apple from a local orchard, I am in a bit of heaven. I bet you can picture it now too, can’t you? The crisp skin contrasted by the juicy flesh and the juice that runs down your hand from a perfectly ripe apple. PERFECTION. It is the perfect time to make Homemade Apple Butter. We aren’t talking about any old apple butter, we are talking about homemade apple butter with the addition of a homemade caramel sauce. And friends, it is perfection. First of all let’s talk about apple butter. It is incredibly easy it is to make your own apple butter at home. Apple Butter is really just applesauce cooked for a bit longer, allowing it to develop its rich flavors and thicken. Place into the slow cooker or heavy bottomed pan and let the apples cook down until soft. Once the apples have been cooked down, you need to blend them up. 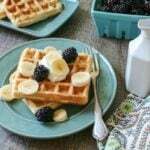 An immersion blender is a great tool for this, but you can use a food processor or blender (just be sure to let some steam escape and cover with towel or let cool before blending). At this point you have applesauce. Which is tasty, but we want to make apple butter! And you do that by placing the blended sauce back over heat and letting cook away a bit longer, to thicken up the applesauce and deepen the flavors to create apple butter. But what REALLY takes this apple butter over the top is the addition of salted caramel. Melt butter with sugar in a heavy bottomed skillet. I have discovered I like to make my caramel with a combo of maple syrup and brown sugar. I love the rich depth of flavor that maple adds to the caramel. But you can use white sugar in place of the maple. Add a pinch of salt for SALTED caramel. No, you don’t need a thermometer or any fancy equipment. 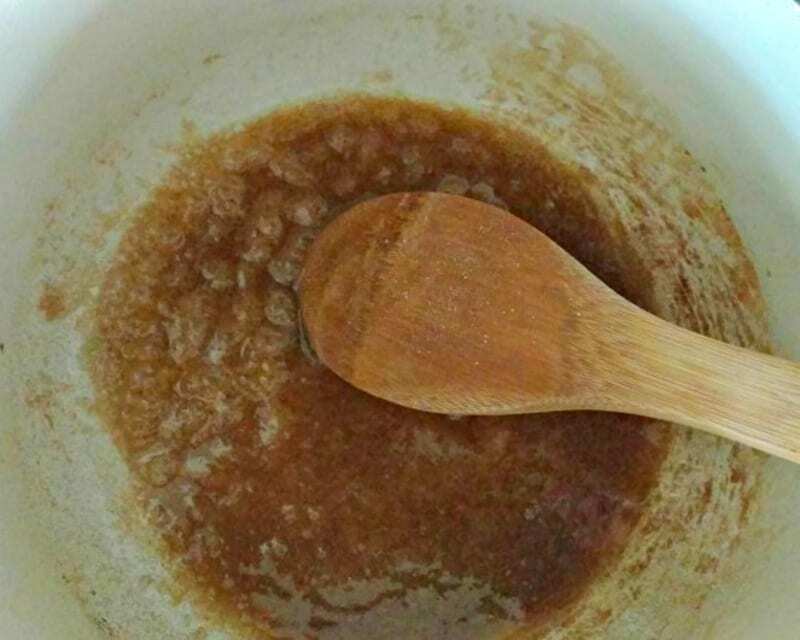 Once your caramel sauce is complete, mix into your homemade apple butter. Store in fridge for up to 1 week if you add the caramel sauce; 2 weeks without the caramel sauce. You can simply omit the caramel sauce and have delicious naturally sweetened homemade apple butter. I have discovered I like to make my caramel with a combo of maple syrup and brown sugar. I love the rich depth of flavor that maple adds to the caramel. But you can use white sugar in place of the maple. You can use almond or coconut milk in place of milk or cream in Salted Caramel Sauce. Feel free to double the amount of caramel sauce to make the apple butter really have a distinct caramel taste. Thick and rich apple butter has been taken up a notch with the addition of salted caramel to the mix-- Recipe for both the slow-cooker and stove-top apple butter. Place apples, juice, and spices in large heavy bottomed stock pan. Bring to a boil and reduce heat and simmer for 1-2 hours, until apples have broken down. Using an immersion blender, blend apples until smooth. (Or do this in batches in your blender or food processor). Return mixture to pan. Let simmer for another hour, or until thickened and reduced by half, being sure to stir frequently. At this time, stir in warm caramel until combined. Cool, and store in fridge for 2 weeks. Place apples, juice, and spices in slow cooker. Cover and cook on high for 1 hour. Return mixture to slow cooker and turn slow cooker low and cook and additional 6 to 8 hours, or until mixture is reduced by half. Stir in caramel. And let cool before serving. Place maple syrup, butter, and brown sugar in skillet over medium high heat. Whisk until butter is melted and mixture is bubbly and thick. Add in salt and milk. Whisk for 1-2 minutes and turn off heat. Stir into apple butter at this time. Yes for sure! 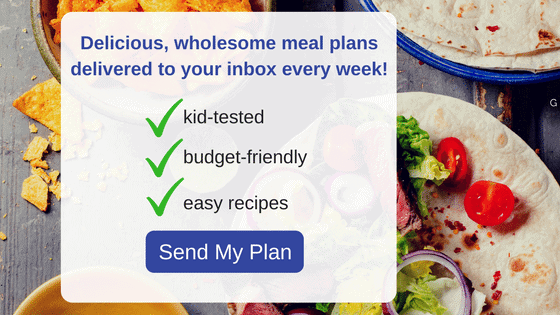 Your kids will love this–I hope you try it! 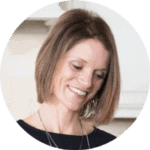 Just be sure to get it up to proper temperature for canning and seal properly & it would be fine….. My grandmother used to can apple butter – one of my FAVS! Thanks for the advice! I love homemade apple butter! I love that you’ve taken ordinary apple butter and stepped it up a notch! 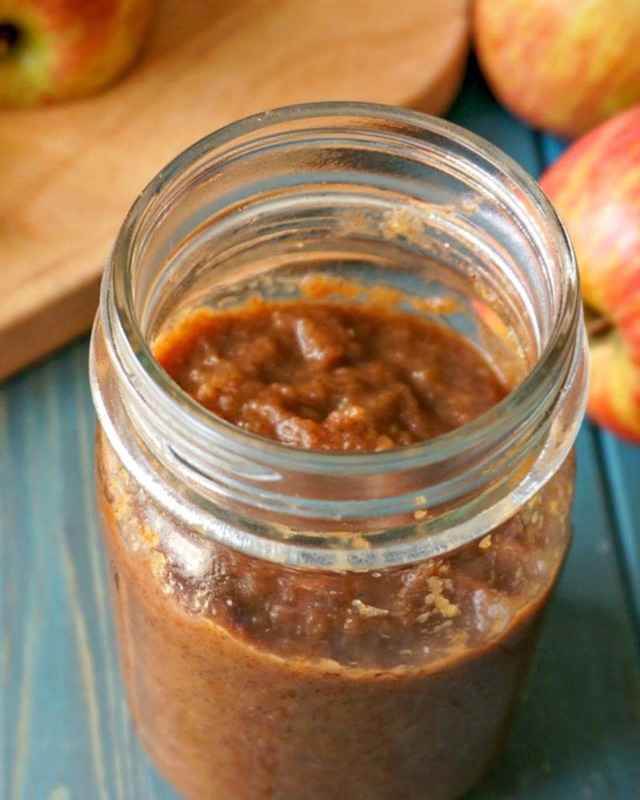 Salted caramel apple butter sounds divine! You must try it–takes apple butter to a whole new level! You said 16 servings. Approximately how big is a serving? I actually made this yesterday. It filled 5 half pint jars and left another half pint about half full. My only problem with this recipe was the salted caramel. The apple butter doesn’t have any taste of it. Is that normal? I was wondering why it calls for so little on the caramel. It’s doesn’t seem proportional with the amount of apple butter made. Other than that, it’s amazing! I’m going to make it again later and adjust the caramel amount. Hi Roman! I am so glad you enjoyed the apple butter. I like a very mild hint of the salted caramel, but you could double or triple to have a more prominent taste for sure.